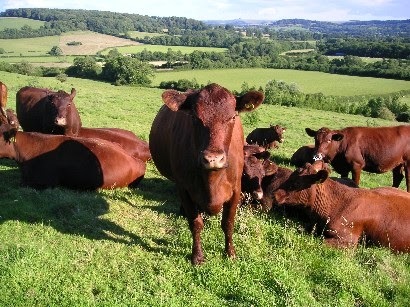 The Red Poll cattle society was established in 1888 to promote the breed and also their use within the livestock industry in the UK and abroad, but since the middle of the 20th Century the use of the Red Poll breed for beef has been in decline due to the increase in European breeds of cattle. The breed is on the Rare Breeds Survival Trust list and was in danger of disappearing altogether, but there is now a large herd at the Sandringham estate and several other farms in England and the breed is also being re introduced in small numbers into the west of the USA. Howard's butchers were established in the 1920's and are now located both on the Royal Sandringham estate in west Norfolk and also in the Gayton area of the historic city of Kings Lynn in Norfolk. 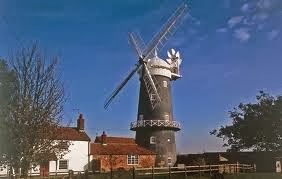 the butcher is famous in West Norfolk for the quality of its meat and also the range of rare breed neats that it sells. Being based on the Sandringham estate Howard's butchers sell the rare Red Poll beef from the local Queens herd, but they also sell organic Longhorn beef and pure Highland beef as part of the fantastic range of meats and poultry available at their two shops. The organic Longhorn cattle are bred and kept in the grounds of the beautiful and historic Houghton Hall in West Norfolk, they are a pure organic herd which is fed on grass and clover. Pure Highland beef cattle originate from western Scotland and are all 100% pure Pedigree Highland cattle and are certified by the Highland Cattle Society. The herd in Norfolk is kept and grazed on the salt marshes at Burnham Deepdale on the north Norfolk coast. 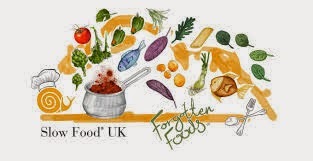 As part of our ongoing plans to promote good local sustainable food in Norfolk and throughout East Anglia, Slow Food Norwich will be working closely in 2015 and beyond with local East Anglian food businesses, producers and other interested parties who are also passionate about our aims. Typical of the type of food business Slow Food aim to promote are Howard's butchers in north Norfolk and we will also be involving many more similar businesses and producers in our ongoing promotional and marketing work in east Anglia. Further details about our new Approved scheme as well as the Slow Food Planet App will be available soon and we will have all the latest news on our regular Blog and also available at our Slow Food events in Holt in February, Norwich in March, West Norfolk in April and at the Forgotten food Festival in Wendling in June.